Create beautiful personalized landing pages or mini-sites that match your brand. Create and publish pages in minutes! 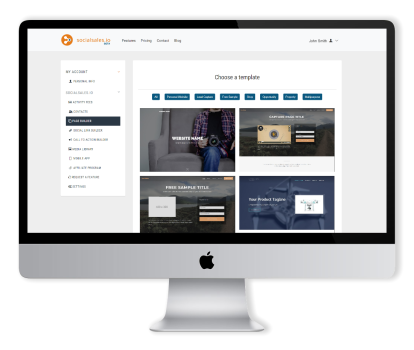 No need to hire a designer or web developer with our easy-to-use Landing Page Editor. Today's tech savvy social shopper expects a highly personalized shopping experience. No longer does the one-size-fits-all replicated website work in today's social selling environment. Build targeted landing pages that match your social brand and continue your message throughout the sales funnel. Track prospect activity and stay engaged with your social prospects as they click through from your social network to your landing pages and through to conversion. 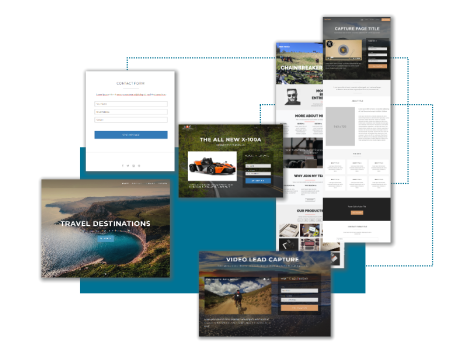 Easily build beautiful landing pages in minutes using one of our landing page templates for lead capture forms, product samples, webinar registrations, micro-sites and more. Our landing page editor makes it super easy to edit text and replace images all directly on the page. No complex CMS platform to learn or programming skill required. Simply edit in place and publish. You’re free to create as many variations and personalized pages as you wish. We have no limits to the number of pages you can publish and share. Easily tweak the messaging on your landing pages for each and every customer interaction. There are no limits to what you can do!